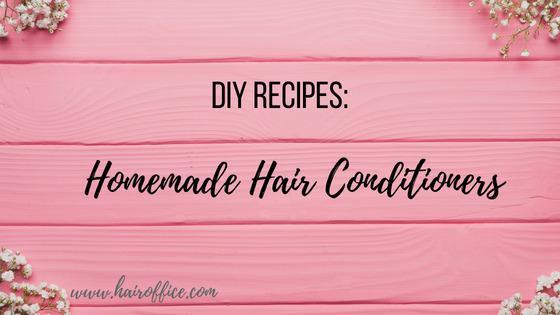 DIY conditioners deliver moisture and nourishment to the strands and calms the scalp. Are suitable for all hair types, including sensitized locks and sensitive scalps. The big advantage here is the usage of natural ingredients only. The most commonly used product as homemade hair conditioners are the natural oils. Could be used as they are or as carrier oils, blended with essential oils or with other natural products. Olive oil is the most reputed oil, regarding to healthy diet, skin and hair care. It is great to deeply condition dry, damaged locks and prevents premature hair aging. Other well known natural oil is almond oil. It is called "the most powerful stimulator for hair growth". It nourishes hair roots, adds shine, elasticity, and flexibility. It is suitable for all hair types and could be used as all-purpose homemade conditioner. Sesame oil is known as a beauty elixir. It penetrates deeply in the hair’s structure and is very beneficial for dry, dehydrated hair. Another deep natural conditioner. Wheat germ oil is good for dry or normal hair and is very useful to prevent split ends. Jojoba oil can be used as homemade conditioner for normal and oily hair. Gives shine, volume and elasticity to the strands and regulates the sebaceous secretion. Two-three drops on the comb prevent tangles and eliminate frizz. Coconut oil conditions normal to slightly dry hair. Shea butter is the perfect homemade deep conditioner for very dry, damaged locks. Ussage: All natural oils should be rubbed into the scalp with gentle massaging movements and than spread to the length of the hair. Work on dry hair. Warm the oil slightly for better penetration and deeper conditioning. Put on a shower cap, wrap with a towel and leave it for at least several hours or better overnight. When used as a homemade hair conditioner, all natural oils could be mixed with one another or with other natural products. Essential oils - add 5 drops of essential oil to every 10 ml of natural carrier oil. lavender essential oil prevents dry scalp and invigorates. Essential oils bring countless benefits to the entire body and mind. But when you use them you should be very careful. They are highly concentrated. Keep away from children and from getting into eyes. It is recommended not to use essential oils if you are pregnant. Bee honey is another great natural hair conditioner. It is suitable for all hair types. Bee honey could be used alone or mixed with other ingredients. It deeply moisturizes and makes hair soft, shiny and manageable. If mixed with some natural oil it is easier to apply. Leave it at least 30 minutes to act. Bee honey, as an antiseptic, treats and calms scalp itches. A tip: Before I enter the sauna, I use to apply pure natural bee honey mixed with almond oil all over my scalp and locks, then I put a shower cap on and wrap my head with a towel. 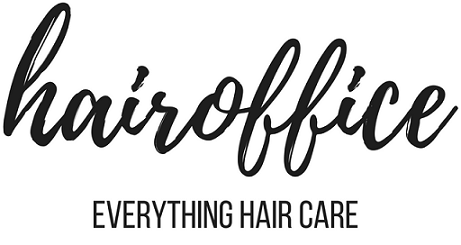 This procedure prevents hair from drying out and makes wonders with my tresses.